Fangirls, a week or so ago, I picked up A Frozen Heart from Target. Once I got to reading it, I realized that though it wasn’t what I was expecting, it was still an enjoyable read. A Frozen Heart follows the story of Disney’s Frozen almost to the t. The draw of it, though, is that it follows the story from two characters; both who had frozen hearts during the movie. Every other chapter follows Anna, and the opposites follow Hans. I was excited, at first, because I had expected the book to be more about Hans on his own, before coming to Arrendale, and while he was watching over the kingdom, but he wasn’t the main focus. Much like the movie, everything seemed to revolve around Anna. I definitely enjoyed reading A Frozen Heart. I burned through it; it was fun and emotional, just not what I was looking for. There was a bit more of a look into Hans’ life than the movie, which I really enjoyed, but it was just in the beginning. The only other things that were new from the movie, were the characters’ thoughts as they went through the story. The lack of more was a bit disappointing. Altogether, though, it was a lovely read. I enjoyed my time with the book, and definitely recommend it to fans of Frozen. It is quite the short book; clocking in under 300 pages, which was perfect for a weekend read. 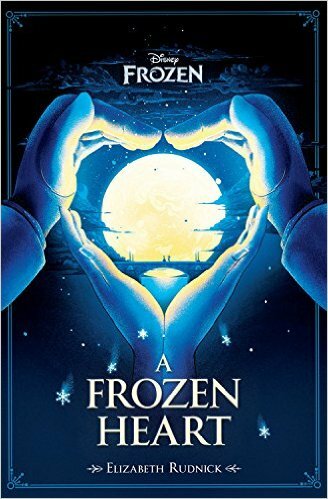 Again, I highly recommend it to fans of Frozen, but if you don’t feel like reading the same story again, stay away from it.